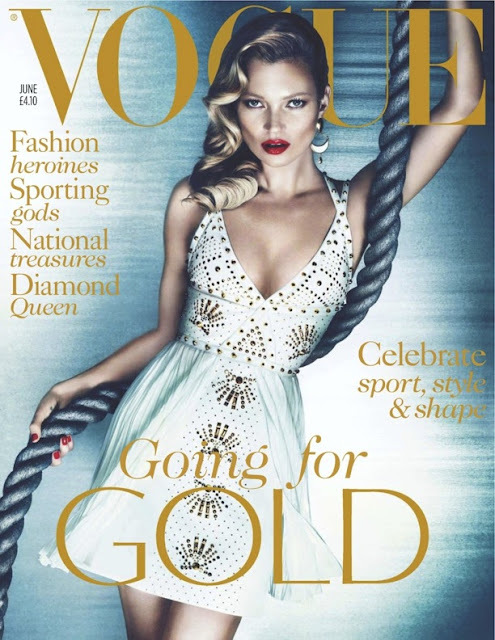 With Vogue being one of Britain's most iconic Fashion publications it was rather fitting that the June 2012 issue was solely dedicated to being British; celebrating what was a fantastic Queen's Diamond Jubilee and of course the London 2012 Olympics. The issue looked at National Treasures and Great British icons from fashion, film and sport in a flamboyant celebration of patriotism. A beautifully rare collaboration of fashion and sport. We loved your blog and it's concept. hope you like ours too.